Are you an experienced professional who is seeking a challenging position in a well established transportation company? Are you looking for employment based in the Toronto, Ontario, Canada area? A job that can take you across the country and across the continent? Well, look no further. 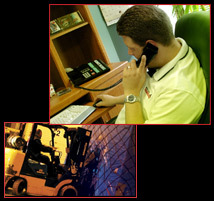 Maple Gate Freight Systems Inc. is the right place for you! Maple Gate Freight Systems Inc. specializes in offering customized logistical solutions including less-than-truckload (LTL) transportation and full truckload (FTL) transportation within North America. We have developed a strong logistical transportation network throughout North America and have established key facilities in both Canada and the USA including Los Angeles, San Francisco, Chicago, Vancouver, Calgary, Montreal and Toronto. • Collaborative – you are an excellent team worker; one who knows how important it is to cooperate with other employees, both in sales and our other departments, in order to fulfill Maple Gate Freight Systems Inc. customers’ needs. For those seeking other positions within the transportation industry, please check back with Maple Gate Freight Systems Inc.’s website frequently as we may post additional positions in the future as they become available. Maple Gate Freight Systems Inc. values its employees, respects them, recognizes their contributions and offers them opportunities to grow and develop within the company. Join the Maple Gate Freight Systems Inc. team today and see the difference a positive work environment can make for you! Employment Opportunities | Maple Gate Freight Systems Inc.